UPDATED: Fri., Sept. 14, 2018, 4:32 p.m.
WASHINGTON – U.S. industrial production rose by a healthy 0.4 percent in August, boosted by gains in the production of autos, oil and natural gas. The Federal Reserve said Friday industrial production, which includes output at factories, mines and utilities, has climbed 4.9 percent over the past 12 months. Industrial production appears on track for its strongest annual growth since 2010, when it jumped 5.5 percent as the economy began to recover from the Great Recession. Factory production increased 0.2 percent last month, lifted by a 4 percent rise in the making of vehicles and parts. Automakers assembled vehicles at their strongest pace since April. Still, factory production has slowed over the past two months as trade conflicts have created uncertainty for the sector. The Trump administration is seeking to revamp the North American Free Trade Agreement with Mexico and Canada, has imposed tariffs on imported steel and aluminum and has slapped tariffs on goods from China and threatened to impose more. 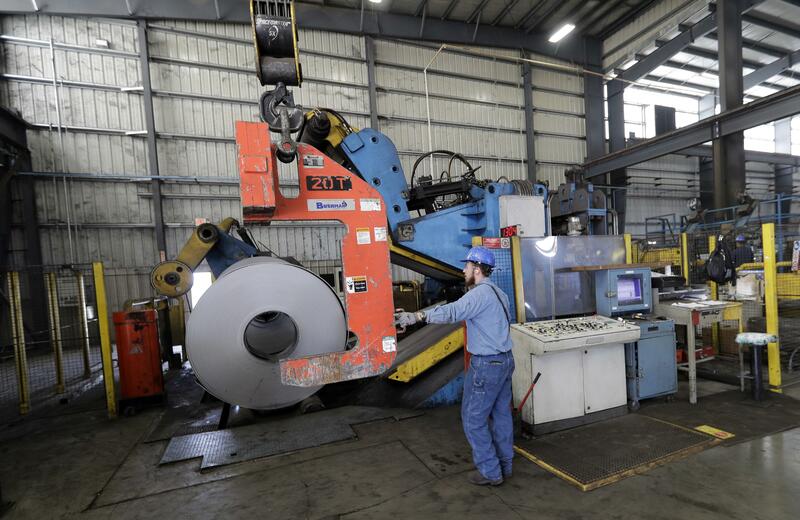 The recent slowdown in factory output might stem from an 8 percent increase since April in the value of the U.S. dollar against foreign currencies, said Michael Pearce, senior U.S. economist at Capital Economics, an economic research firm. A higher-valued dollar makes U.S. exports less affordable overseas. “The more modest 0.2 percent gain in manufacturing output provides further evidence that the appreciation of the dollar over the past six months is now beginning to weigh more heavily on output in the factory sector,” Pearce said. Mining output posted a 0.7 percent monthly gain in August. A sharp increase in the production of oil and natural gas has caused mining output to soar 14.1 percent over the past 12 months. Increased oil and natural gas production can support factories that make pipelines, machinery and other equipment. Production at utilizes advanced 1.2 percent in August, powered by a surge in electricity usage during the hot month. Other reports suggest that manufacturing is healthy, despite signs that its job growth is slowing. U.S. factories grew at a faster pace in August as American industry continues to show robust health. The Institute for Supply Management said its manufacturing index jumped rose to 61.3 in August from 58.1 in July. Anything over 50 points toward expansion and economic growth. The manufacturing index has pointed toward growth for the past two years. Still, job growth at U.S. factories has decelerated in recent months. Manufacturers added just 36,000 factory workers for the three months that ended in August, according to the Bureau of Labor Statistics. That’s down from three-month gains of as many as 90,000 earlier this year. Published: Sept. 14, 2018, 7:49 a.m. Updated: Sept. 14, 2018, 4:32 p.m. Tags: business, industrial production, national-business, news, U.S.